They say that Madrid is the ninth Andalusian province due to the high amount of flamenco artists who live and perform in the Spanish capital, clearly visible in the large offer of flamenco shows you can find. From intimate shows to some of the most famous tablaos in the world as well as places where you can party flamenco style, in Madrid you can find it all. To make things easier for you, we have narrowed down the four best places to watch flamenco shows in Madrid, places where you can experience the art and passion you can only get with live flamenco. This tablao (the Spanish word for flamenco venue) is the oldest of its kind in the Spanish capital, having opened its doors in 1956 and been famous worldwide ever since. It is located in Madrid’s old town, the Habsburg district or “Madrid de Los Austrias” as it’s also known, next to Almudena cathedral, offering a show plus a dinner so you can also sample the best Spanish cuisine with a signature touch. On Calle Echegaray you can find this venue which offers flamenco shows every night, with more than 10 artists on stage for every one of them. It also hosts performances by the most famous flamenco artists in Spain and, on top of it all, it is now considered Cultural Heritage of the city of Madrid. This tablao on Calle de los Cañizares is much more than just a simple flamenco venue. As well as being one of the best places of its kind, it also has a school, a café called Café Cantante and Sala García Lorca, a room which hosts flamenco singing recitals. The whole building is dedicated to this Andalusian art. Oh, and it also has a restaurant too! 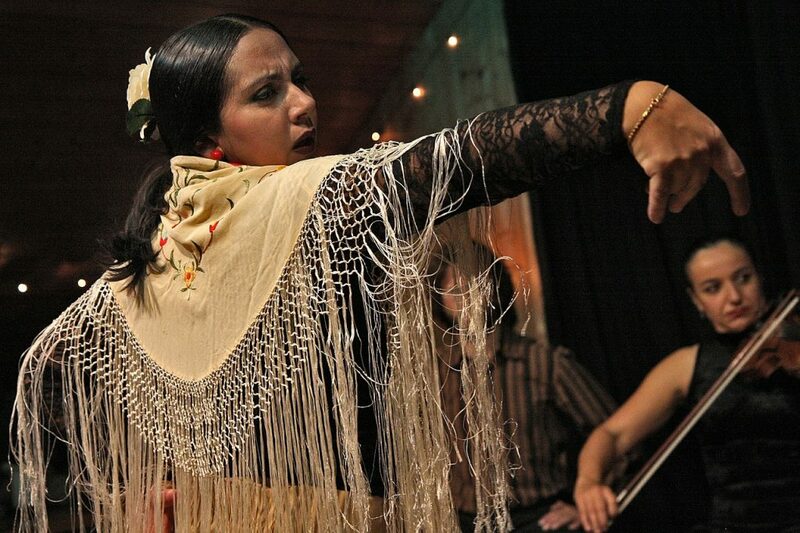 This music club is the stage for all kinds of genres, including flamenco. Every Wednesday it organises a flamenco jam session with guest artists, a different way of enjoying flamenco in Madrid aside from the traditional tablao. Recently inaugurated, this space located in the Alfil Theatre (Calle Pez, 10) proposes a different concept and a unique way of experiencing flamenco. It is a unique theatre in the world since it is dedicated exclusively to flamenco and since its opening this year it has staged shows of the highest quality as well as special activities all year long.